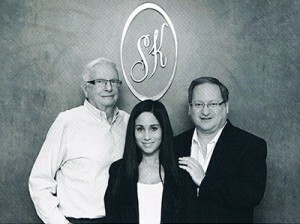 With over 40 years in business, Samuel Kleinberg Jewellers has been enchanting four generations of customers. In 1968 Samuel Kleinberg established his jewellery business on the corner of Eglinton Ave. and Bathurst Street in Toronto, Canada. The quaint shop on the fifth floor created an exclusive experience for fine jewellery connoisseurs. With a thriving wholesale and manufacturing operation, in 1977 Samuel Kleinberg relocated to its current showroom at Bathurst and Lawrence. Recognized for excellence in high-end quality goods, Samuel Kleinberg jewellery has appeared in shops across Canada and the U.S. Currently, the Toronto store offers a full line of finished jewellery, on-site custom designs, jewellery repairs, appraisals and diamond education sessions. As a loose diamond importer, Samuel Kleinberg Jewellers avoids the middleman by acquiring diamonds directly from the sight-holders. 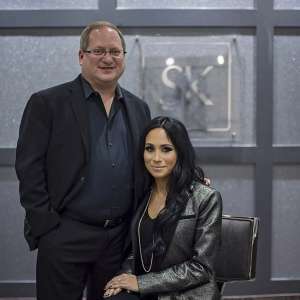 The long-standing tradition of fine quality jewellery, competitive prices and great service, continues with, Lorne Spivak and daughter Melissa Spivak. Lorne and Melissa (father-daughter duo) took over in 2006 with over 60 years of experience in all aspects of the jewellery industry. With Lorne’s experience and Melissa’s vision, the business is continuing to reach new heights. Today our showroom specializes in an informative customized diamond and jewellery experience and is by appointment for engagement rings, wedding bands and custom design. We travel extensively to source the most desirable gemstones and our product is now featured worldwide as we ship globally and utilize email/ video calling to engage in an interactive experience with clients everywhere. We stock our showcases with an assortment of finished jewellery keeping up with the latest in fashion trends and styles. Visit us for any kind of jewellery or watch repair, appraisals and assistance with insurance claims. Our insurance division will help simplify the claims process by working with you to ensure that no details are missed. We will then provide a detailed loss report to your adjuster which will help expedite your claim to resolution. You will have the peace of mind that your interests are being taken care of accurately and efficiently. Our business has been founded on integrity, trust and value with a commitment to providing the best service to every customer. Come in for any jewellery need and let the Kleinberg experience work for you!